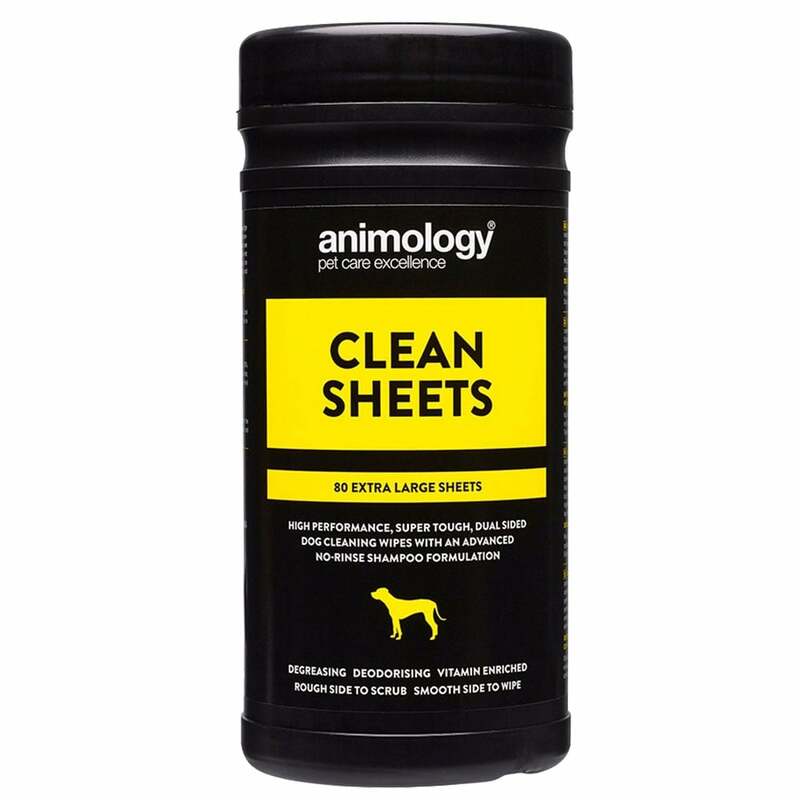 These Animology Clean Sheets Pet Wipes (80 Pack) are super tough, dual sided wipes with a no rinse formulation. Ideal for removing sticky stuff such as tree sap and reducing the odour of smells such as fox poo and dead fish from your dog's coat. Enriched with vitamin E which is a powerful, natural anti-oxidant to help to protect and strengthen hair as well as improving the overall condition of your dog's coat. Each of these extra large pet wipes are approximately 20-27cm. These Clean Sheets are perfect whilst on the go and inbetween washes to keep your dog cleaner and fresher.